Many people desire to own a dog, two perhaps… or even three. Unknown to them, man’s best friend may make life in your house unbearable, or at least he may not take to his new-found home. Because we all mind about their happiness and safety, we should always ensure they feel ‘at home‘ the moment we get them home. Of course, high-quality & healthy dog food, fresh clean water and crate are the first few things that come into our head when we think about our pup’s well-being. But in order to ensure such happiness and safety, there are certain measures we have to take, either before or after their arrival. 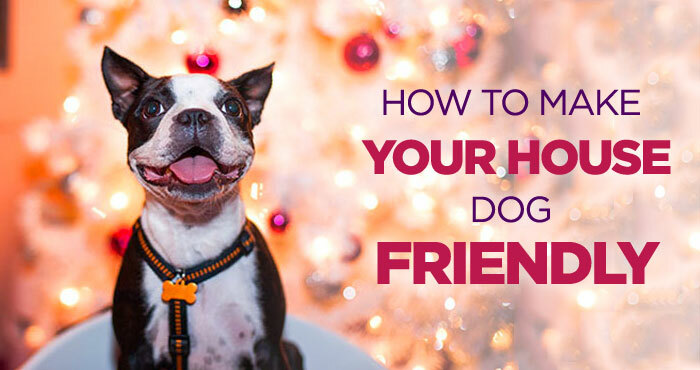 Let us therefore look at some of the ways how to make your house dog friendly. Have you ever discovered that your canine friend chews a lot? Well, perhaps you haven’t because he is always busy gnawing on your furniture and dishes behind your back. His tendency to chew on anything that he can sink his teeth into is a quite normal behavior for dogs and as this is their nature, the best you can do is get them couple of chew toys as a distraction. Here is a quick video to make a homemade chew toy for your dog. It was pretty cool. Right! 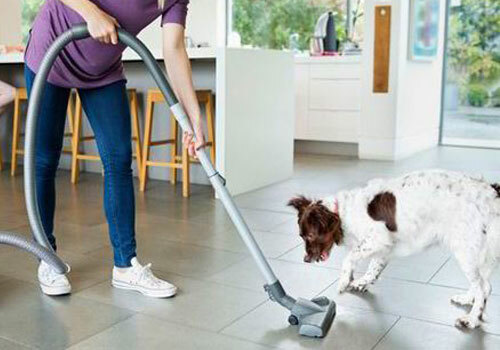 As soon as accidents such as breakages and spills occur, you will possibly see your dog rushing to the scene. The best way to prevent him from scratching at the broken glass or licking the spilled wine is by reacting quickly to such accidents and cleaning up the mess as fast as possible. When we are choosing a dog, we are often attracted to other cosmetic features and often overlook the fact that there are those breeds that shed a lot. Even though we love them, the sight of tumbleweeds all over the house is an eyesore. We can however still make the house more dog-friendly by vacuuming regularly, at least twice a week. Furthermore, you can brush the dog regularly as this will help control the amount of dead hair that falls off his skin and onto the floor. This is pretty much arresting the problem at the source. Another way of making your house dog-friendly lies in your choice of fabrics. Avoid woven fabrics like tweed and linen, because they are looped and get snagged by dog nails and trap his hair. Instead, opt for the more durable velvet. You should also avoid bright colors and instead go for the dull ones, as these are known to hide stains easily. 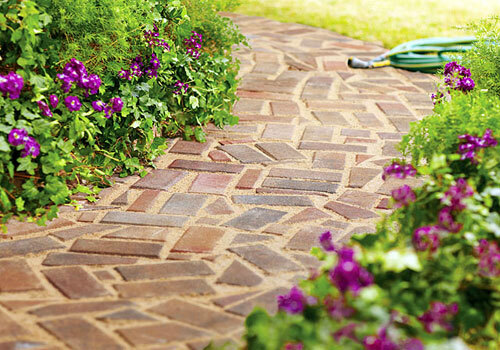 Walkways are splendid ways to reduce the muddy tracks that the dog may enter with into the house. The secret here is to make the walkway as long as possible and also train your dog how to use it before entering your house. In addition, you can also set up a clean-up spot near the entrance to the house, fully equipped with paw and coat wipes. 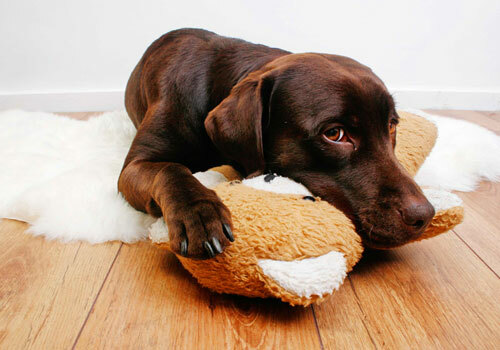 As dogs are playful buddies, you need to mind the kind of flooring to have in your house. Tiles come in handy here, due to the fact that they are scratch-free, are cool for them to nap on during hot weather and are also considerably easier to clean. Carpeting on the other hand is not encouraged because they do not only harbor hair and bacteria, but are known to contribute a lot to allergy issues. If you must go for wood flooring, ensure you opt for hardwood. In addition to these, don’t leave food and other edible items unattended on your kitchen table. It is not only far too tempting for your dog but also could be dangerous as many of our daily food items are toxic for dogs, such as nuts, chocolate, coffee, grapes, onions and garlic. This looks like an overwhelming to-do list but once you’ve added them to your daily routine, your dog will feel more safe and happy at home. Bringing home a dog is just like bringing a baby. They need regular care and monitoring because it’s better to be safe than to get into dangerous situations/trouble which make you feel sorry later.